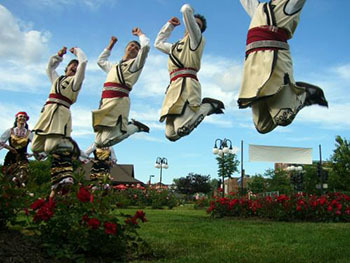 Andalusia Folk Dance Fiesta Tour! 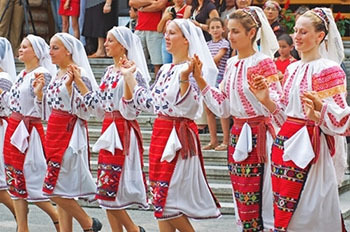 Folk Dancing, Folk Music, History, Culture, Art, Adventure! Malaga, Ronda, Cadiz, Seville, Cordoba, Granada! Prepare your Don Quixote heart for a windmill tilting, delighting, ultimate Olé tour beyond your wildest flamencan dreams. 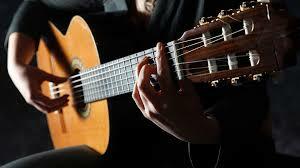 We’ll meet local folk music and dance groups, learn fandango, jota, bolero, and sevillana. The hotels are lovely, the food delicious, the spirit exuberant! From Malaga, home of Picasso, to Cordoba, former capital of the medieval Umayyad dynasty with its mosque, old quarters—the Juderia and San Lorenzo areas— to the Andalusian capital, Seville, with its landmark Giralda Tower, to Granada at the foot of the Sierra Nevada, surrounded by fertile plains, filled with Moorish culture and the breathtaking Alhambra Palace, through the picturesque countryside to the exciting and lesser known provinces of Jaen and Cadiz, you will be part of an unforgettable Spanish adventure! Come spend 13 days of Spanish cultural and Andalusian folklore discovery. Iberians, Phoenicians, Greeks, Carthaginians, Romans, Berbers, Arabs have left a mark on this most sunny region of Spain. Our tours are for dancers, non-dancers, and anyone with a love of travel and culture.Our price includes round trip jet from New York, transfers, hotels, two meals daily, and our own bus and guide. Price: Land Only: $3465 app. Depart on airline of your choice. where bulls are cared for outdoors. We’ll learn about Toreo traditions. in our immersion in the Andalusian folk. Dinner in the hotel. Drive through Grazalema highlands and its traditional white villages. Enjoy free time for lunch and rest. 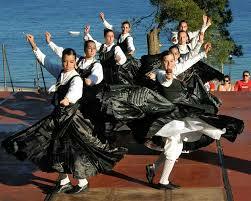 Afternoon meeting with Peña Flamenca who will perform for us, then teach us some traditional Sevillas dance steps. Dinner with local products. Hotel Monasterio de San Miguel 4*. and shopping before return to Puerto de Santa Maria. 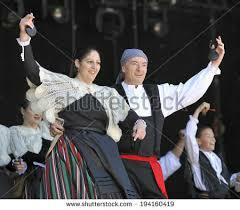 International folk dancing with Lee. Buffet dinner in hotel. Visit the Equestrian Museum and the Engagement Museum, then enjoy the totrally unique theatrical performance “Como Bailan los Caballos Andaluces” (How Andalusian Horses Dance.). After the show, we’ll leave drive tp Seville and dinner in our Hotel Catalonia Giralda 4*. 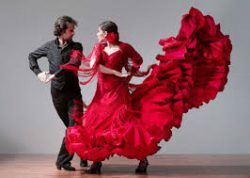 about this vibrant art form, we’ll have a dance class in Sevillanas. Dinner in our Hotel Catalonia Giralda 4*. of this colorful Andalusian city. Dinner in our Hotel Maciá Alfaros 4*. After having breakfast we head for Andujar, a little known but jewel of a destinations. and a spectacular biodiversity. We’ll visit the historic center, then have lunch. our friends of “Traspié” association. Dinner in the Hotel del Val 3 in Andújar. 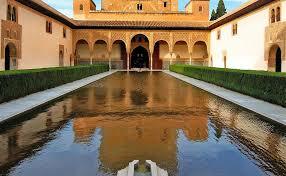 In the morning, we will tour and explore the Muslim legacy in Alhambra and Generalife. in any visit to Andalusia. Free for lunch before heading to Malaga. Farewell dinner in our Ms Maestranza hotel. 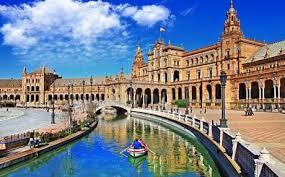 Depart for Malaga Airport and international flights. return. No claim shall be deemed legitimate if not reported to the local representative and if reported after the scheduled service or after departure from the hotel. Responsibility: Jim Gold International, Inc. Of 497 Cumberland Avenue, Teaneck, NJ 07666 U.S.A acts solely in its capacity as marketing agent on behalf of its suppliers such as air carriers, ground operator, taxi suppliers, motor coach suppliers, excursion or tour companies and hotels identified on documents supplied in connection with purchase of the tours. Jim Gold International, Inc. shall not be held responsible for any wrongful or negligent acts or omissions by any supplier or other party not directly owned or exclusively controlled by Jim Gold International, Inc. or by the failure of any equipment operated by any such supplier or other party. Jim Gold International, Inc. shall not be liable for any loss, injury or damage to person, property or otherwise, in connection with any accommodations, transportation, or other services, resulting directly or indirectly from any acts of God, dangerous incident to the sea, fire, breakdown of machinery or equipment, acts of government or other authorities, wars whether or not declared, hostilities, civil disturbances, strikes, riots, thefts, pilferage, epidemics, quarantines, medical or customs regulations, defaults, delays or cancellations of or changes to itineraries or schedules, or from any causes resulting from insufficient or improperly issued passports, visas, or other documents passports, visas, or other documents. Neither Jim Gold International, Inc. nor any of its affiliates or subsidiaries shall be or become liable or responsible for any additional expenses or liability sustained or incurred by the tour member as a result of any of the aforementioned causes. Tour participant agrees that any claim against Jim Gold International, Inc. is subject only to the jurisdiction of the courts of the country in which the cause of action arose. The right is reserved to substitute hotels and to alter itineraries. The right is also reserved to cancel the tour prior to departure. If any tour is canceled prior to departure, Jim Gold International, Inc. will be responsible only up to the amount of monies Jim Gold International, Inc. received less any cancellation fee applied by a supplier as defined above. Travel Insurance is recommended. Jim Gold International, Inc. is not responsible or liable for defaults of those not directly under the exclusive control of Jim Gold International, Inc. All tickets and vouchers issued for transportation and services are subject to the terms and conditions under which such transportation and services are provided to the participant by the owners or contractors. 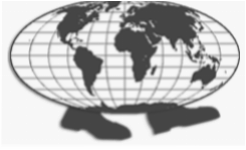 The traveler assumes full responsibility for, and hereby releases Jim Gold International, Inc. from any duty of checking and verifying any and all passport, visa, vaccination or other entry requirements for each destination, and all safety and security conditions during the length of the proposed travel. Should any clause contained here in be determined void by any court of law, such a finding shall not affect the other clauses contained herein; each clause is a covenant which stand on its own. The receipt of your deposit and/or final payment will indicate that you have read these Terms and Conditions, and that you have agreed to them. Prices are subject to change.